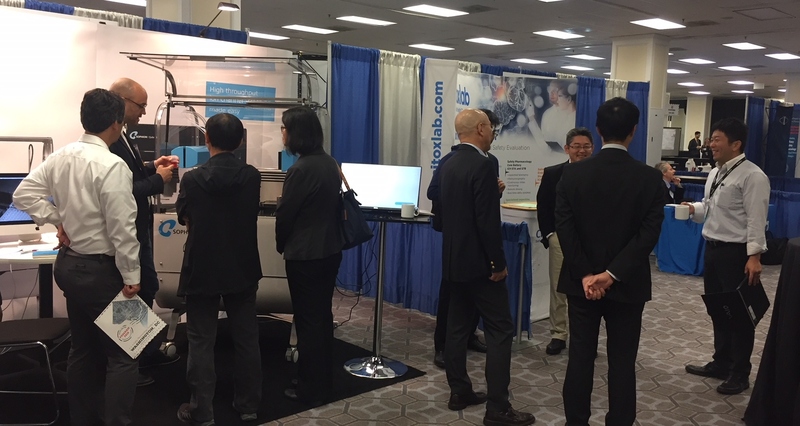 QPatch II has it’s first public show at the Safety Pharmacology Society annual meeting in Washington DC the last few days. It has been very well received by the many current and future users that have passed by the booth for a demonstration. Most are excited by the new icon-based operator software, that makes operation even easier, but also the speed, the reduced cell consumption and the preloaded standard protocols. And the looks off course. Isn’t she a beauty? Besides that, we have had excellent feedback on the new online V½ estimation…. The first QPatch II has been sold and we are we are currently producing more so you all can have something cool under your Christmas tree this year.